There could be good news waiting for Atletico Madrid fans, as reports claim that talisman Antoine Griezmann is reportedly set to stay at the club and snub Barcelona in the process. Reports have been doing the rounds since quite some time that the Frenchman is set to join the newly crowned La Liga champions and end his stay in Madrid. But the Europa League champion with Atletico now seems to be determined to stick with the side. Last season, there was a similar situation with United, but Griezmann went on to sign a contract extension instead. According to a report in SER, Griezmann revealed to his teammates that he will not be going anywhere, and continue helping the club. Atletico played against Eibar on their final match-week, and the star player is believed to have said the aforementioned statement to three of his teammates ahead of kick-off. 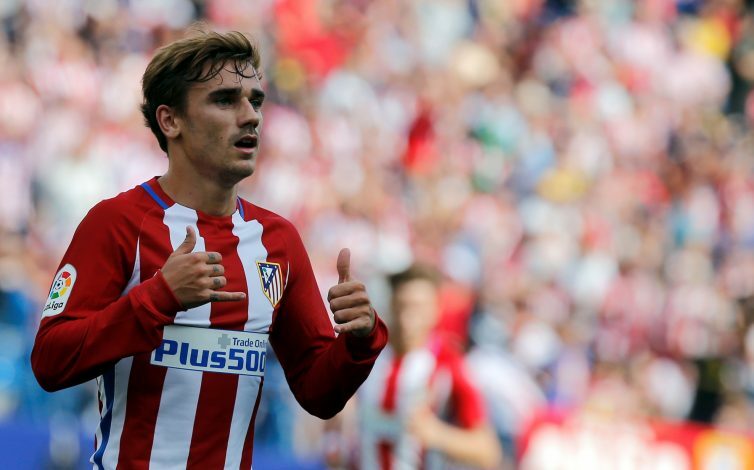 Atletico manager Diego Someone recently revealed that he hopes Griezmann will continue the good work at the club and help them fight for titles. The Frenchman has played four seasons with Atletico, and has scored 112 goals in 2018 games. During this time, he won two trophies besides reaching the final of the Champions League once. Earlier, Barcelona superstar Luis Suarez had hinted at the possibility of Griezmann joining the Catalan giants in the summer. The Uruguayan had claimed that Antoine would be coming to Barca not to take the place of anyone, but to add more depth to the squad. Meanwhile, reports have been claiming that Griezmann, who has a contract with Atletico till 2022, could be offered a huge deal by Barca in order to convince the forward to make the switch. It will be interesting to see whether he continues at Atletico, where he has enjoyed his time under Simeone.